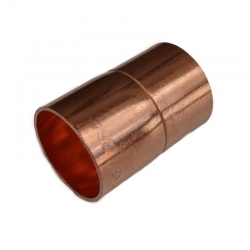 Copper Fittings There are 83 products. Lawton Tube ACR cxc coupling 1/4"
1/4 inch refrigeration copper 90° long radius elbow with female/female fitting. 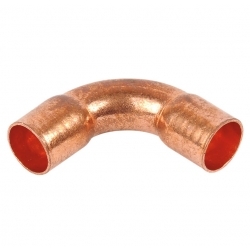 3/8 inch refrigeration copper 90° long radius elbow with female/female fitting.